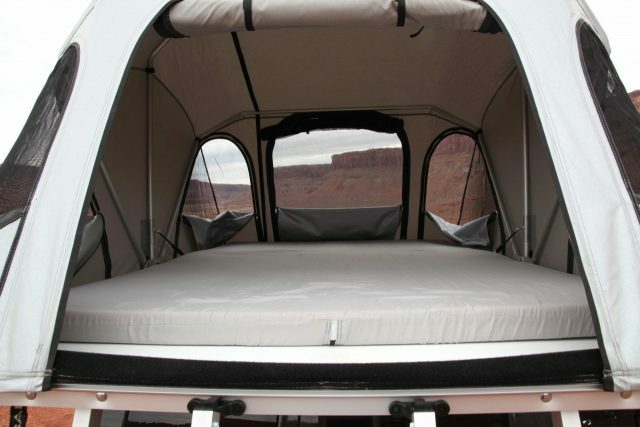 Should you buy a roof top tent? Suffice it to say, there are advantages to sleeping atop your car or truck. 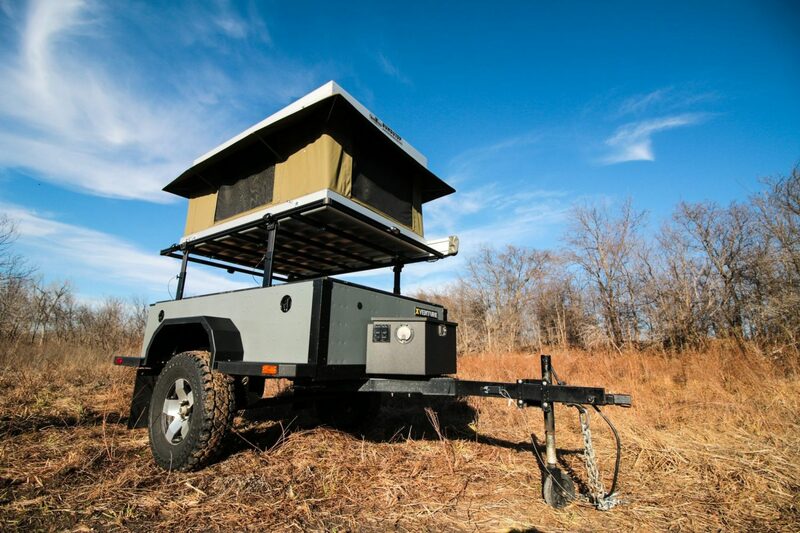 The most noteworthy is the convenience of setup and the ability to camp on any surface no matter how rocky, root-strewn, or mired in mud. The disadvantages include added weight, a rather small internal volume, and the ladder always crops up as a potential negative. My relationship with roof top tents qualifies as a love/hate one for a single reason: the difficulty of mounting and removing a RTT. 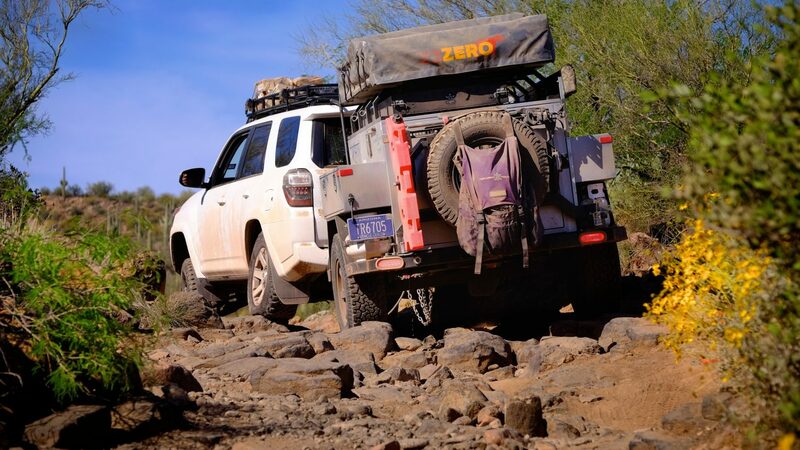 Newer quick release systems like those on the Yakima SkyRise are a much-welcomed innovation, but it still requires two people to lift the tent on and off, and then there’s the problem of where to store a 100-pound lump of metal and fabric. For the sake of this discussion, we’ll assume you have done your homework and concluded you are a roof sleeper. Hard or soft shell tents? To summarize, hard shell tents are unrivaled for ease of setup and takedown. They’re also a touch on the large side atop your roof since the sleeping footprint can’t be folded in half like a soft shell tent. They are certainly more aerodynamic, arguably sleeker looking, and often better equipped to fend off high winds when pitched. 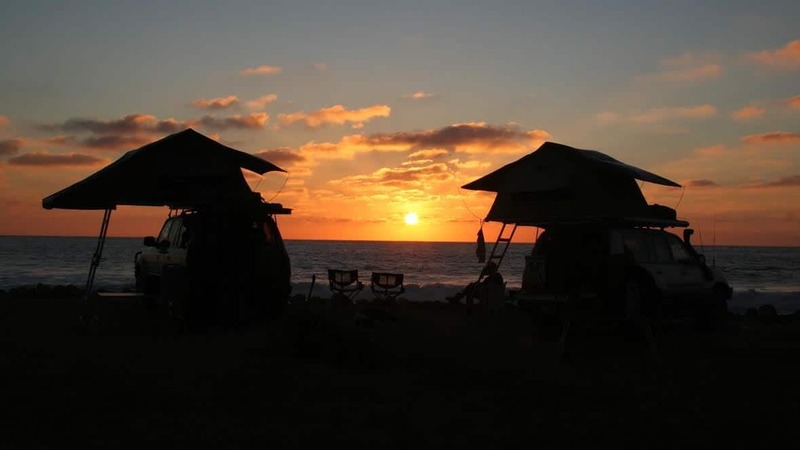 Soft shell tents can be considerably cheaper, fit on a smaller roof a bit better, and have the lowest purchase price with several tents ringing in below $1,000. Are they really worth the money, and which tents are the best value? It’s an old chestnut and one I repeat all the time, but you usually get what you pay for. It’s also important not to correlate price with value. 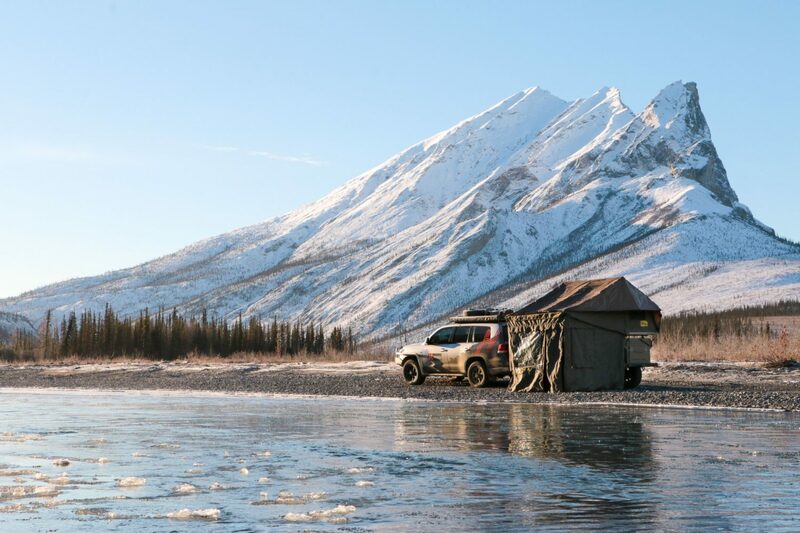 A $3,000 roof top tent can often represent a wiser purchase than a $1,000 tent depending on your individual needs. If it lasts five times longer, has more features, and just works better, it’s worth the extra money and thus is a better value. Just keep in mind, much of this value business is subjective. To best understand if a tent is worth the asking price, you have to dig into the details of materials and construction with the same keen eye used to evaluate more obvious features and design attributes. 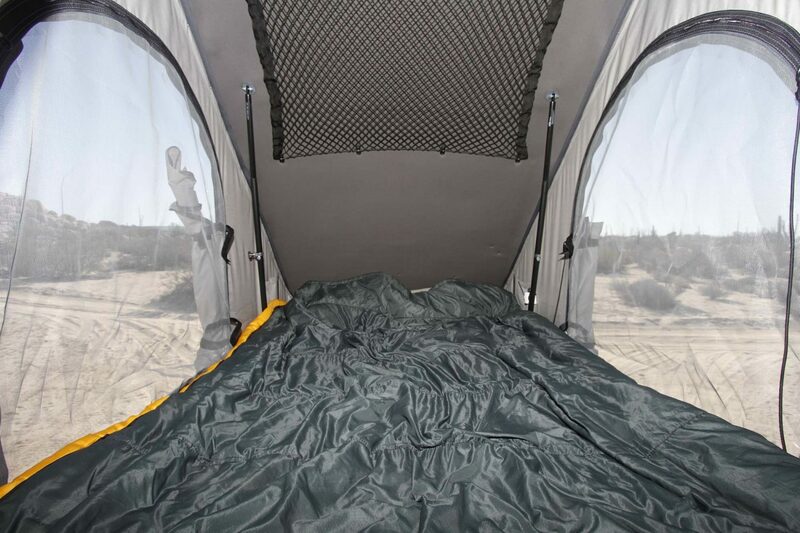 An Eezi-Awn tent comes with a hefty price tag, but once you begin to carefully scrutinize each component, that outlay of cash will likely seem justified. Little things like the thread used in the stitches, or the type of mesh built into the tent body can have an everlasting impact on durability and the prolonged user experience. All fabrics may look the same, but there is a significant difference in one over the next. 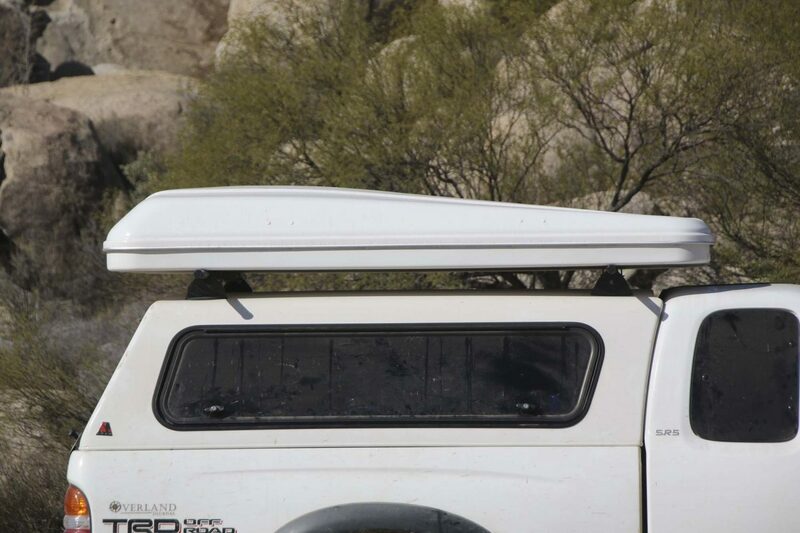 The Yakima SkyRise I reviewed earlier this summer has been chided by some for its use of inexpensive materials, but then again, it’s also half the price of other roof shelters. If you’re crossing continents, by all means, spend the extra cash and buy the brawn you’ll need. If you simply like having the best tent in the industry, that’s fine too. Just be prepared to open your wallet nice and wide. For the casual weekend user, maybe the entry level tent with less exotic materials will suit your needs. With so many options on the market, there are sufficient choices between budget and high-priced models. When assessing materials, take into consideration the types of fabrics, zippers, and stitching thread used in construction. Ask about the decking material and unassuming details like the type of fasteners and closure systems holding it all together. Inquire about the foam used in the mattress, or how the fabrics have been treated for weatherproofness. The devil is in the details. Pay attention to features often overlooked. I have witnessed many shoppers at trade shows and expositions inspect every corner of a soft shell tent, not batting an eye toward the cover. I’ve been hassled by a poorly designed cover on many occasions. Other buyers fail to closely evaluate little things like the buckles on a hard shell tent and whether or not they’re easy to use or likely to cause a loss of knuckle skin with each deployment. How does the ladder attach? Does it lock, and can you climb down the ladder in bare feet without grimacing in pain? I realize much of this is hard to do given few people get to see, touch, and feel a roof top tent before pulling the trigger, but you should still do your research as best you can—which brings me to my next point. Customer reviews—can they be trusted? I write product reviews for a living and I’ll be the first to admit that sometimes I get it wrong. I’m also not paid by a vendor to champion their product, nor do I make any more or less money with a good or bad review. Customer reviews on the other hand, are motivated by individual motives and come from the deep and mysterious psyche of the anonymous collective. Many good and bad reviews are written by people who have never even seen the product they have such a strong opinion of. I have also caught myself penning a negative review only to realize I misused the product. There’s another element to the customer review mentality. For some people, admitting they bought a lesser product is a shameful offense, so they’ll defend their purchase to the death. Their tent may be leaking, busted, and giving them a rash every night, but they’d rather say it’s the best tent ever than concede to their $2,000 gaff. And there are plenty of people who will never be happy with any product. You have to know how to read between the lines and when to dismiss a suspicious review. My suggestion is to ask for an opinion from someone you know and trust. Shop the service, not just the product. Even the best manufacturers make mistakes. How a particular company provides service to their customer is as important as the product itself. 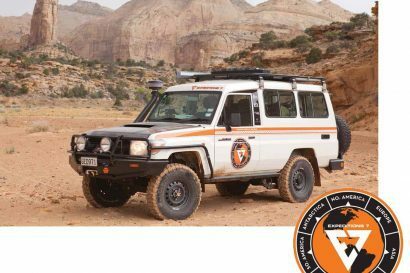 In the many years I’ve spent evaluating tents and products of all kinds, I have interacted with company representatives so dedicated to customer satisfaction they deserve an award. Others are less eager to please the consumer, or frankly, lack the resources to do so despite good intentions. Time in business is no indicator of good service, but it is telling. Buying a tent from the brand-new and unknown ACME Tent Company is always going to come with risks. When things go pear-shaped, you can’t be too surprised. 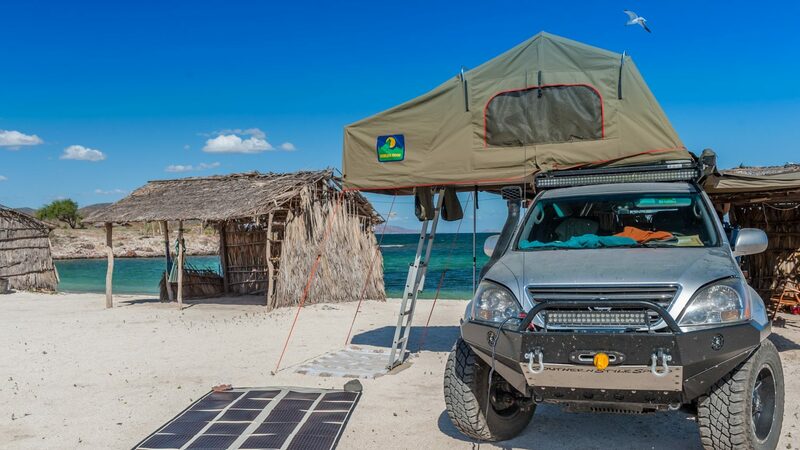 Twenty years ago there weren’t many choices for roof top tents, particularly in the hard shell segment. 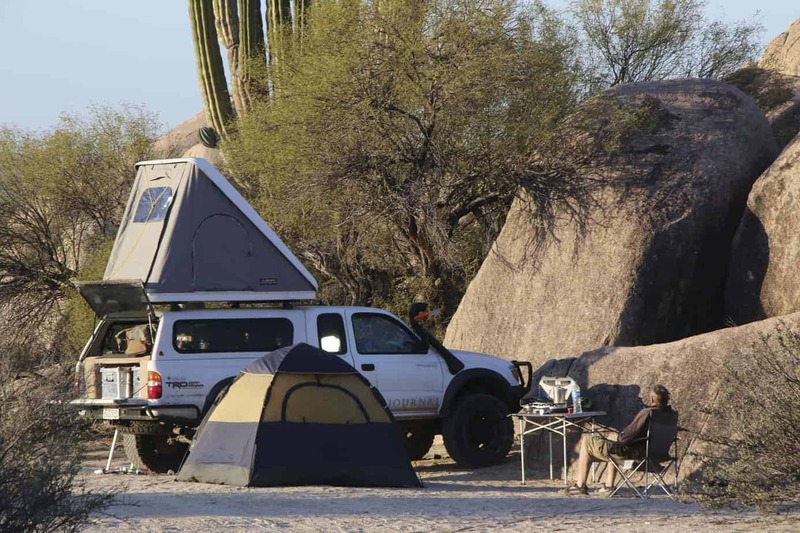 With the growing popularity of overlanding and car camping in general, more than a dozen new brands have popped up in the last 5 years. Many of these new tents, or should I say nearly all of them, come from the same few factories in Asia. Now, before we dive willingly into that rabbit hole, let’s still the air on one particular point. Products made in Asia, as is true for products made anywhere, have just as much chance of being superb as they do lousy. Factories will make what they’re asked to make, for better or worse. 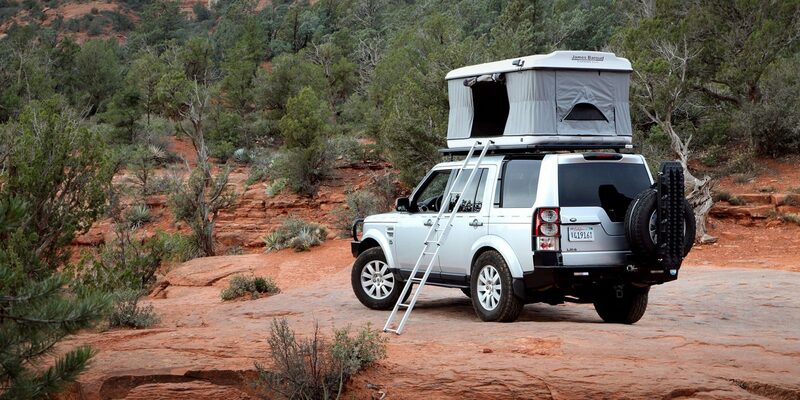 In the case of roof top tents, it’s not uncommon for one factory to make tents wearing a number of different brand labels. This creates some confusion. Some will suggest that just because two tents originate from the same factory, they are identical. While that’s often the case, it is not always true. Even if they are identical clones, it’s important to factor in the label on the tent and the customer support behind it. I suggest buying the tent with the better brand reputation as who knows if company XYZ will even be around if you need warranty or repair assistance. If you think you are ready to dive into roof top living, it might be worth the time to see your options in the flesh. 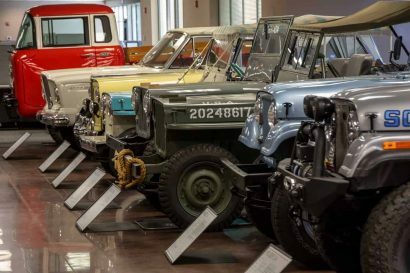 This used to be a tough thing to do, but with overland expositions cropping up all over the country, the best opportunity to get your hands on a tent before buying is to attend one of these shows. 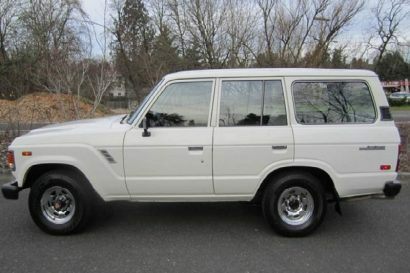 In some cases, you can make the purchase on the spot and drive home with your new toy.